Please note, the photo above depicts a completely (or fully) configured device showing the available options. The featured price is only for the base mainframe (unit) and does not include the optional accessories pictured above. For additional features that can be added please scroll to the bottom of each screen and additional pages in reference to this unit. Max Paper Size / Original Size 8.5" x 14"
The Copystar CS 406ci brings new meaning to efficient business performance in a compact footprint. 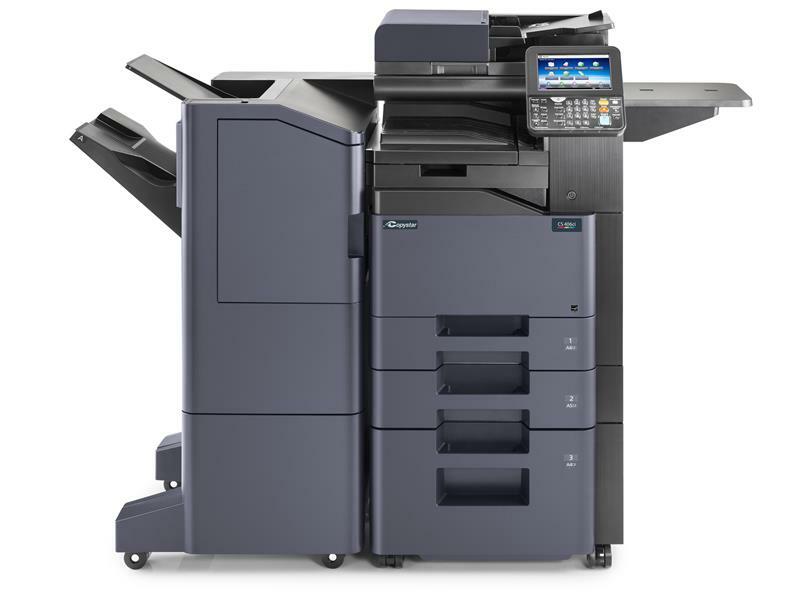 Exceptional functionality streamlines document processes while vivid business color gets your message seen, making the Copystar CS 406ci a powerful solution that can grow with your business needs.